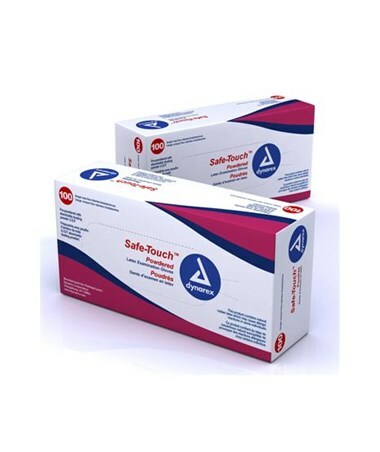 Dynarex Safe-Touch Latex Exam Gloves are ambidextrous and constructed of 100% natural latex rubber. They are lightly pre-powdered with absorbable U.S.P. grade dusting powder and have a beaded cuff making them easy to slip on quickly. Reliable extraordinary strength with no loss of feeling make this a popular choice for medical personnel.